It occurred to me the other day that twist stars, such as the nine- and ten-pointed models I written about before, probably have an Al Gore Rhythmic method to them. So I thought about it a while and decided that there is. Briefly, choose a regular polygon. Then choose a regular polygram to fold inside it. (There are very sharp ones and very dull ones — I like the middle ones, myself.) Now, fold another polygram inside the smaller polygon you just created, connecting not the corners, but the midpoints. This forms yet a third polygon in the middle. Make a tato from that smallest polygon, fold in and squash the pleats. That’s it. Can’t quite visualize it? That’s okay, I made a slide show for a hendecagram twist star. (Or the detail view, if you prefer a slower approach.) 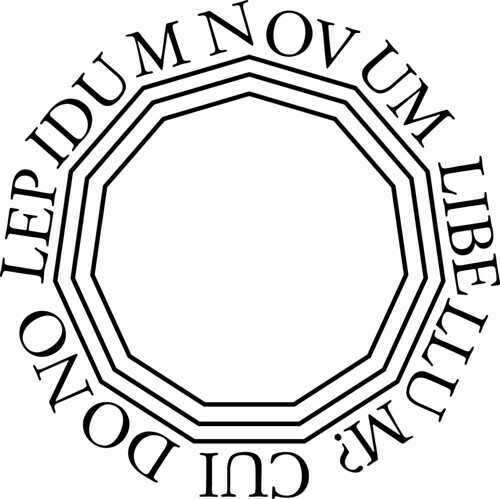 Before you click over, you might want to print and cut out a hendecagon. There’s nothing all that profound about these — they’re just pretty and look good in the window when the sun comes through. The method is extensible, but who knows how far? There are lots of regular polygons and a whole lot more polygrams. 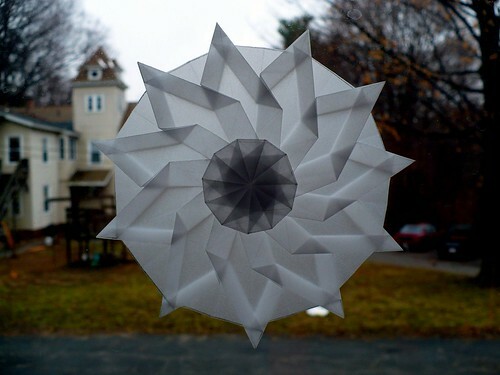 This entry was posted on Sunday, March 29th, 2009 at 4:07 pm	and is filed under content, creative commons, hendecagon, open source origami, star, tato, twist. You can follow any responses to this entry through the RSS 2.0 feed. You can leave a response, or trackback from your own site.